American Gothic cross stitch pattern... 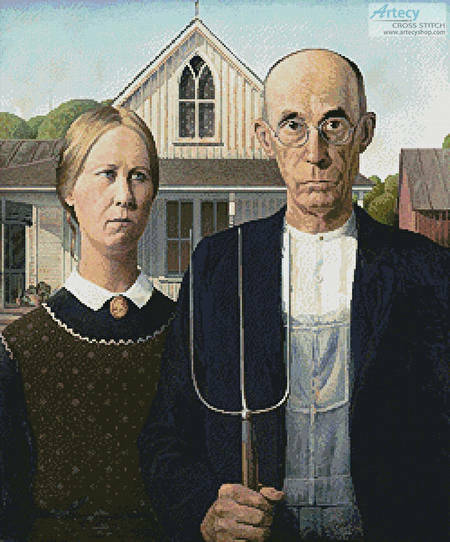 This counted cross stitch pattern is of the famous painting American Gothic by Grant Wood. Permission for image use approved through VAGA. Only full cross stitches are used in this pattern. It is a black and white symbol pattern.